It was in the hours before I sat down to write my weekly column that this idea for a story started seeping into my brain. This would be my take for the week instead of writing about the Colorado Avalanche’s ten-game winning streak or the Denver Nuggets’ next All-Star (Jamal Murray or Nikola Jokic) or the possibility of a Colorado Rockies Hall of Famer. The pull was too great. “Are you a good witch or a bad witch?” That must be the opening question to Baker Mayfield at the most important football game of the year—the Senior Bowl. This is where directions (North and South) become roadmaps for building a football team. This is a game where the Denver media fever pitch over the scrimmage resembles the tons of Munchkins in Oz having just banished the witch that was the Broncos last season. The Senior Bowl? Really? Why was I writing this? I think the whole thing started at lunch. The NFL Network was on as I ate my tamales. They were showing reps at the Senior Bowl practice. That Senior Bowl — the one where the Denver Broncos’ coaching staff is coaching two top quarterbacks ahead of the NFL draft. And I found myself rolling my eyes — this is how people wanted to spend their time? I know what factors drove my subconscious. I know that putting the word “Broncos” in the title will instantly double the traffic on any column that I write. All of the Denver media knows this. That idea is what’s painted radio stations orange and paid for plane tickets to wherever the Senior Bowl is held. It doesn’t take a lot of work either. No editorial meeting needs to be held to setup a debate for who the Broncos should take at quarterback. On my side, I can write a self-important piece about what a waste of time the Senior Bowl is and take a few jabs about Vance Joseph’s infatuation with winning practices. The piece will do fine and you will move onto watching Kirk Cousins highlights and I will wait for the All-Star breaks to end in the NHL and NBA. And the truth is, neither strategy is wrong. 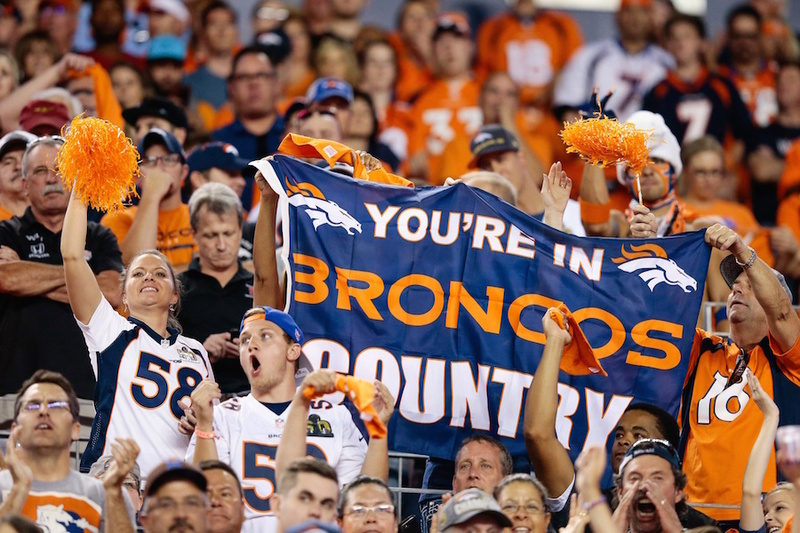 People love the Broncos because of the stakes, the history and the emotional connection to the team. If someone like me wants something to be as important as an exhibition game, I need to help build up that emotional history with these other topics. To me, that is the challenge facing this Denver media market. How do we make these other sports stories mean something? How do you tell them in a unique way? These franchises with less history and no need for a quarterback — what will help readers connect with them? It takes some thought and that’s how I wish I’d spent my time on this piece. Instead, I caught senioritis over this battle for the next great Broncos quarterback.